As of November 7, 2014, local transmission had been identified in 39 countries or territories in the Caribbean, Central America, South America, or North America. A total of 874,103 suspected and 16,669 laboratory-confirmed chikungunya cases had been reported from these areas (Updated data from the Pan American Health Organization). Chikungunya virus likely will continue to spread to new areas in the Americas (North America, Central America, and South America) through infected people and mosquitoes. The mosquitoes that transmit the virus are found throughout much of the Americas, including parts of the United States. Since chikungunya virus is new to the Americas, most people in the region are not immune. This means they can be infected and spread the virus to other mosquitoes. This map does not include countries or territories where only imported cases have been documented. This map is updated weekly if there are new countries or territories that report local chikungunya virus transmission. 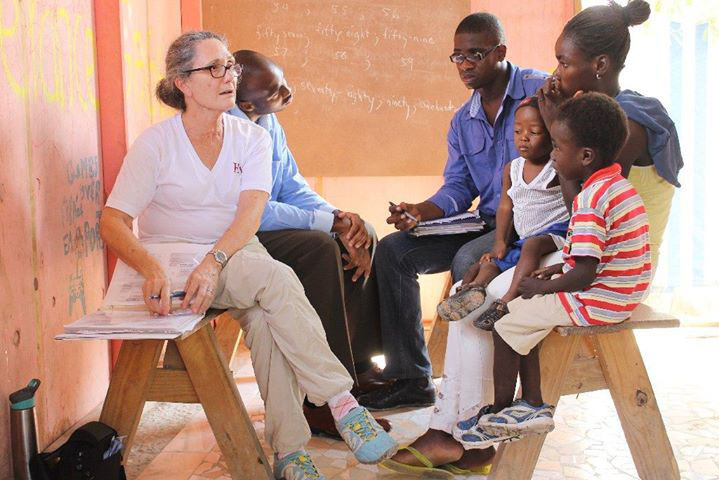 HWB staff and Homéopathes Communautaires have collaborated with Dr. Joseph “Joey” Prosper to learn more about treating the present epidemic of Chikungunya Fever with homeopathy. Maintaining good communication and accurate data collection, HWB staff have collated reports from the field as they studied the evolution of the epidemic. Dr. Prosper, who owns and operates a clinic in Port au Prince, was and continues to be, very interested in what Homeopathy has to offer in the way of treating this mosquito borne virus. Spring 2014, he studied ten patients with Chikungunya who had fever and joint pain for at least 2 days prior to treatment. They ranged in age from 8 months to 59 years. He stopped any medications they were using to treat the virus. Each participant was given 3-5 sprays from an atomizer of Eupatorium-perfoliatum 200C in water. He followed up with each patient three days after they had taken the remedy and found that seven out of the ten had dramatically improved. Two patients had partial recovery and one had no change in symptoms. 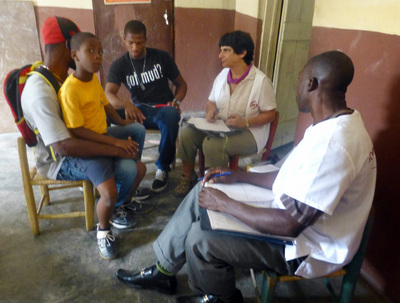 HWB’s pilot study (under the direction of HWB's Clinical Director Lauren Fox, FNP, BC, CCH and Joyce Frye DO, MBA, MSCE) using Homeopathy in cases of Chronic Chikungunya began in March 2015. 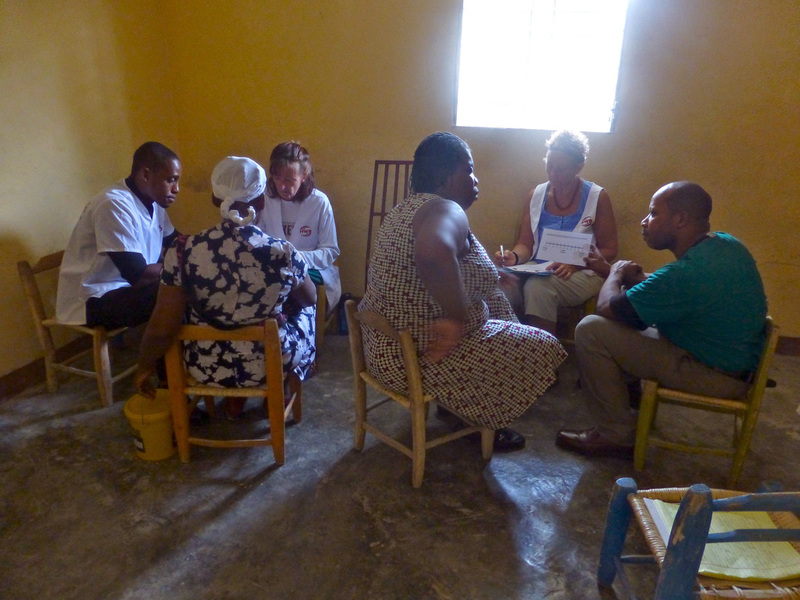 Four sites were chosen for clinics, , L’estere, Delmas 33, Jacquet Toto and Jalouzi. Altogether over 3 days of clinic, 171 people reporting symptoms of chronic Chikungunya were seen by HWB staff and Dr. Joseph Prosper. At the first follow-up 2 weeks later, information collected in the study indicated that nearly 80 percent of the 104 patients who came to follow-up appointments felt “a little” or “much better” since homeopathic treatment. Follow-ups continued at 4 week intervals with the most recent ones conducted in July 2015. HWB volunteer, Shelly Clevidence, ND, reported in July 2015, “…Many of these people had been suffering with chronic Chikungunya for 6 months or more before being treated with homeopathy. Often, their symptoms would begin to resolve within two weeks of taking a homeopathic remedy. They have been able to return to their activities of daily living without the severe joint pain Chikungunya had inflicted on them.” Read more. · Patients over 50 years of age experienced more serious symptoms of chronic Chikungunya and these interfere with their everyday activities significantly. · A large number of patients presenting with chronic Chikungunya have experienced diminished vision since Chikungunya, regardless of age group. In follow-up, these patients have reported improvement in vision and other eye symptoms have been reduced significantly. · Patients suffering from rheumatism prior to Chikungunya have had more severe pain since Chikungunya. Progression since homeopathic treatment on these patients is not as significant as other patients without rheumatism. Return to Homeopathy in the Treatment of Epidemics.